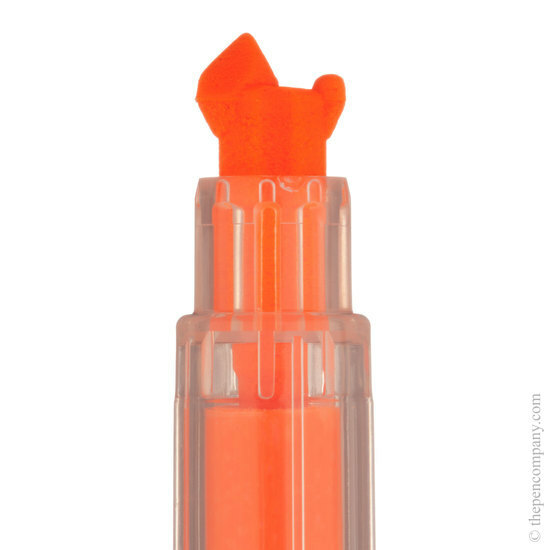 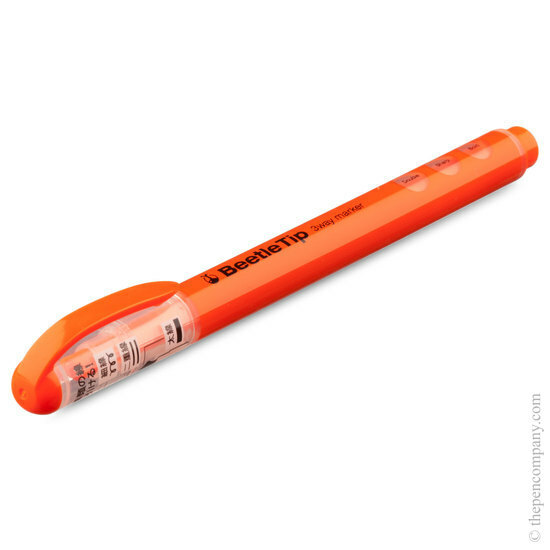 The cleverly designed 'beetle' tip of these highlighters is two tips in one, allowing the user to easily differentiate between different data on the same document using just the one pen - no more chopping and changing between different highlighters. 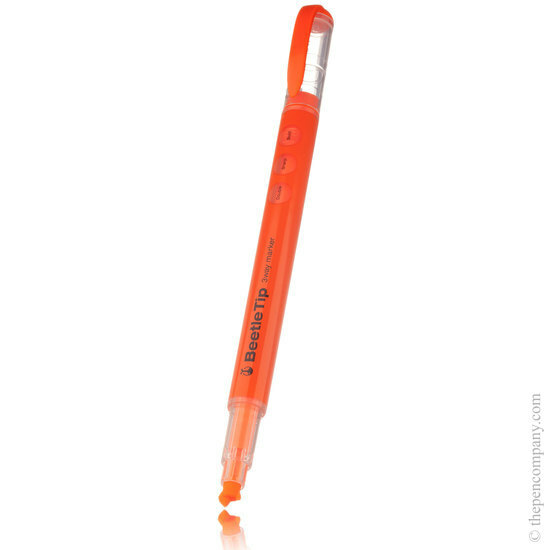 The two tips in one give a range of functions: a wide highlighter for full highlighting, a fineline tip for underlining and using both tips together allows the text to be both under and over-lined at the same time. 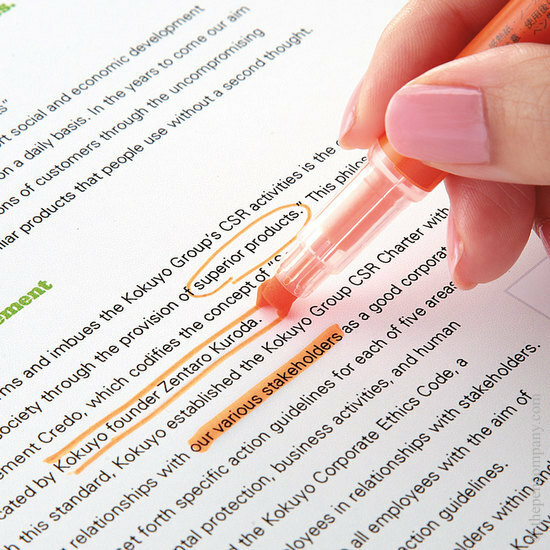 The unique tip gives this highlighter unique flexibility allowing the user to develop a 'coding' system using each highlighting mode to denote different information, importance or actions to be carried-out.